Sergio Ramos Garcia is a Spanish professional football player from Camas. Ramos plays and captains both the Spain National Team and Real Madrid. He is known to be one of the best football players as a central defender. 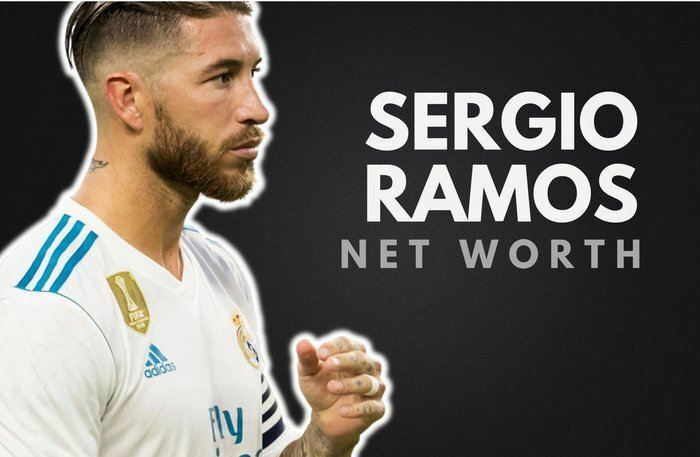 As of 2019, Sergio Ramos’ net worth is roughly $80 million, which makes him the third-highest paid player for Real Madrid. Sergio Ramos was born on 30th March in 1986, in Camas, Spain, to Jose Maria Ramos and Paqui Ramos. He loved playing soccer during his childhood. Seville was popular for its bullfighting tradition, and at first, Sergio wanted to become a bullfighter. Ramos grew up with his two siblings. His elder brother, Rene, introduced Sergio to football and Ramos was soon addicted to it. At the age of 14, he joined the Sevilla FC youth program which is where he gained is recognition. In 2004 he has included in the main squad and a successful career awaited him. In his debut season, he appeared in 41 games, and he also qualified for the UEFA Cup in which he scored his first goal. His stunning performance earned him immense accolades and his career into the major leagues certain. Sergio made a strong impact the following year when he played “Under-21” team. Ramos became the youngest player in 55 years to have earned a place in Spain’s national team. Ramos played in three Europ Cups, and three World Cups in the years 2006, 2010 and 2014. The following year Real Madrid started to recognize Ramos and bought him for 27 million Euros. Ramos scored his first goal for Real Madrid in December the same year. Sergio achieved a spot in the European Player of the Year nomination for 2008. He also made a place in the UEFA Team of the Year and in the FIFA FIFPro World XI team. Real Madrid helped Ramos to become one of the four captains of the team. During the following season, he scored four goals in 33 matches. His contract with Real Madrid was extended till 2017, as he played a crucial role in his team attaining several victories. He captained his team, and they also defeated Barcelona under his leadership. In 2014 Sergio scored two goals in the semi-final match of the Champions League against Bayern Munich. This also led Real Madrid into the finals of the Champions League for the first time in 12 years. Ramos’ contract with Real Madrid was extended another five years. Later that year he led his team to a record 10-2 victory in a La Liga Match. Ramos is one of the strongest defenders in present day football, and he is currently the captain of Spain’s National Team and Real Madrid. As of 2019, Sergio Ramos’ net worth is $80 million. Sergio Ramos has shown no matter how great you are, you are never too great to stop improving your skills. Ramos is one of the highest paid football players, and his unique skills as a defender have influenced many. He has overcome odds and adversity to become a great football player. Ramos is using his skills to help others. Sergio Ramos’ net worth is $80 million as of 2019, which is astonishing. There’s no doubt that his amount will increase in his future, he has a bright future ahead of him. What do you think about Sergio Ramos’ net worth? Leave a comment below.